With just ten days to go until the grand unveiling of Samsung’s Galaxy S IV smartphone at a special event in New York City, the Korean company has begun the countdown by posting a teaser video clip of the highly-anticipated handset. 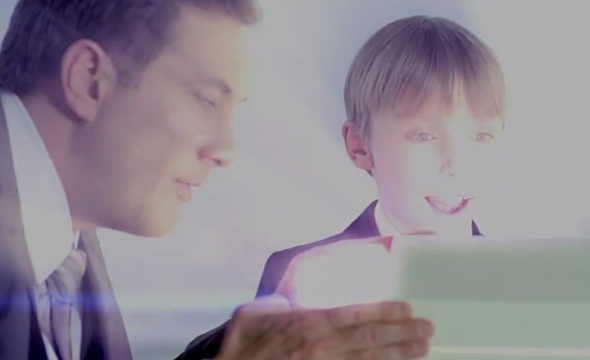 The clip involves a young boy – the "secret messenger" of Samsung Unpacked 2013 – calling in to take a look at a secret package. Upon opening the box, the boy’s face excitedly lights up with the sunlit glow of its contents, and one has to wonder whether tech fans will be as dazzled by what they see once proceedings begin on March 14th. If the device is as uninspiring and lacking in imagination as the teaser (which actually, does very little ‘teasing’ whatsoever), then fans will be in for a disappointment of monumental proportions. Fortunately, spec leaks sourced from various outlets suggest this will not be the case, and the device will, at least on paper, be a forced to be reckoned with. The device is expected to run a 1.8GHz (or thereabouts) Exynos chipset of some description, and although it is expected to be quad-core, recent murmurings have ambitiously touted the Exynos 5410, which packs in an impressive eight cores. The processor will be accompanied by a high-end GPU, and 2GB of RAM would seem a fitting implementation to a device of the S4’s relevance. As far as the screen goes, we’re expecting a 4.99-inch display running at full-HD, 1920×1080 resolution, which would doubtlessly produce stunning previews of shots taken on the 13-megapixel snapper expected to nestle in the back. It is set to also pack Android 4.2 from the get-go, and running through all those specifications, it’s not hard to see why so much is being made of this device. Aside from the iPhone, it is the most significant release in the smartphone calendar, and with so many Android users now tethering their preferences to Samsung-branded handsets, it’s going to be incredibly difficult for competitors to get any sort of look in alongside the S IV. We’ll be covering everything you need to know of the event on March 14th including specs, images, pricing and availability, so make sure you stay tuned to our coverage here at Redmond Pie!